Total ISPS solutions in the hands of a single party. 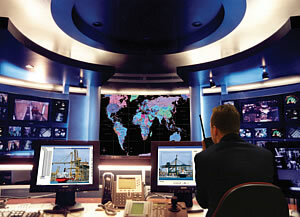 The International Ship and Port Facility Security (ISPS) code went into effect on 1 July 2004. The ISPS code plays an important role in the total package of anti-terrorism measures. International seaports and most international commercial vessels are subject to the ISPS code. A range of security measures are required in ports and related organisations to obtain the coveted ISPS certificate. In a new initiative, Bosch recently established a joint port security venture with a number of partners: the Port Security Combination. The implementation of ISPS-related security measures has a major impact. 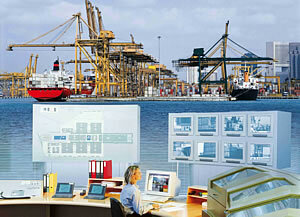 The Port Security Combination offers support at every step in the process, from design to implementation. And so you don't need to worry about anything. In addition, Bosch's Managed Services simplify project financing and ensure professional management of your ISPS-compliant security solution. Stand-alone and integrated ISPS solutions are suitable for individual companies and joint ventures. Bosch also provides active support and assistance to joint venture partners setting up and implementing projects.